Quack Pest Control Pty Ltd, pest control service, listed under "Pest Control Services" category, is located at 10 Downes Street Winnellie NT, 0820, Australia and can be reached by 0889472288 phone number. 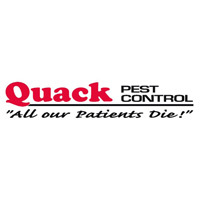 Quack Pest Control Pty Ltd has currently 0 reviews. Browse all Pest Control Services in Winnellie NT.